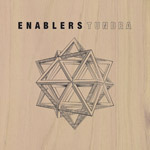 Established in San Francisco, CA in 2002, Enablers’ subsequent five LPs and four EPs have signaled a transcendent approach to “Spoken Word” music. Since the 2004 release of their first LP, End Note (Neurot Recordings), Enablers have established a new direction in spoken word music. The prose and poetry of Pete Simonelli is intricately woven into the dynamic interplay of guitarists Joe Goldring and Kevin Thomson, and has been punctuated by compulsive and precise drumming of changing drummers, among them such illustrous names as Doug Scharin, Yuma Joe Burns and now Sam Ospovat. Musically, the compositions range from melodic minimalism to heavy, rhythmically challenging thickets of sound. Following End Note came Output Negative Space (Neurot Recordings) and 2008, Tundra (Exile on Mainstream) as well as two EP’s featuring extended improvisations (The Achievement on Awesome Vistas and Now You Can Answer My Prayers on Lancashire and Somerset). 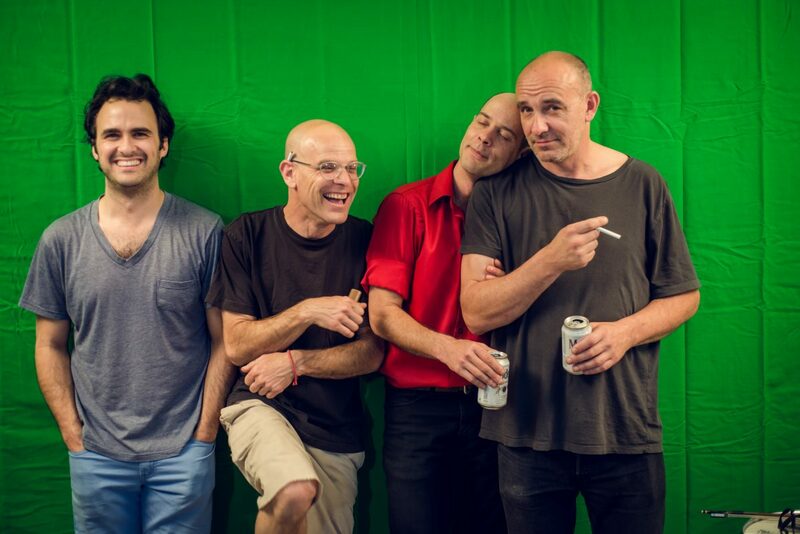 With an almost entirely DIY approach to touring and intense live performances, Enablers continually please fans in the underground of the European continent and the UK and have earned merits as a constantly visible band, always on the road and being active. 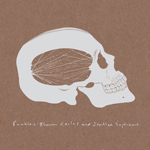 The April 2011 released Blown Realms and Stalled Explosions (Exile On Mainstream + Lancashire and Somerset Dance Society), found Enablers evolving even more. The record’s textural and evocative sound realized a new direction while maintaining the distinct elements of musicianship and imagination that made the previous releases so engaging. The Rightful Pivot followed in 2015 and marked an album incorporating their several stages, stops and progressions of a stunning career. Going back a little to the early days in rough and direct approach but still maintaining the matured songwriting of it’s predecessors. The 2019 LP, Zones— a dual release by Lancashire and Somerset and Exile on Mainstream again — is a further example of Enablers’ push for musical expansion and growth. 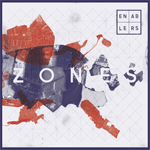 Zones represents a band that is increasingly more comfortable with experimentation and improvisation, while continuing to embrace all the musical elements that have established their sound for close to twenty years. 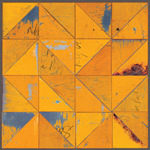 This has produced a fully realized record that further cements the band’s refusal to be pinned down by category or genre. Zones is the impetus for the 2019 tour. poet, writer, and narrator Pete Simonelli on vocals. Rounding out the line-up is drummer Sam Ospovat (Ava Mendoza, Brendan Seabrook, Beep!, tUnE-yArDs, William Winant).